Hello, friends! I come today with a bit of exciting news. 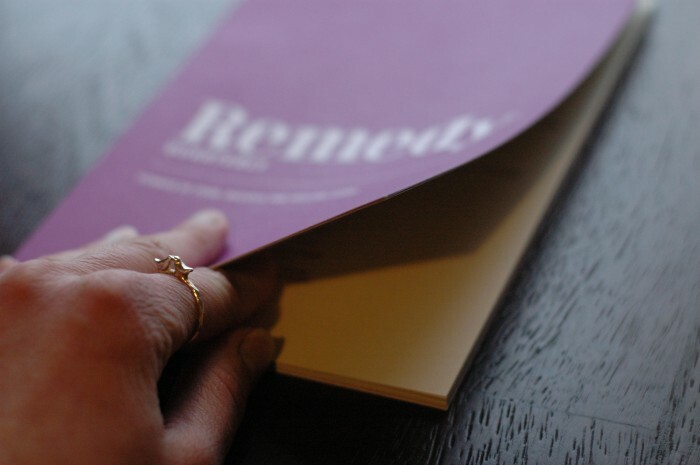 I just received the latest issue of Remedy Quarterly, a truly lovely food magazine created by Kelly Carámbula, who also happens to be a blogger I greatly admire. 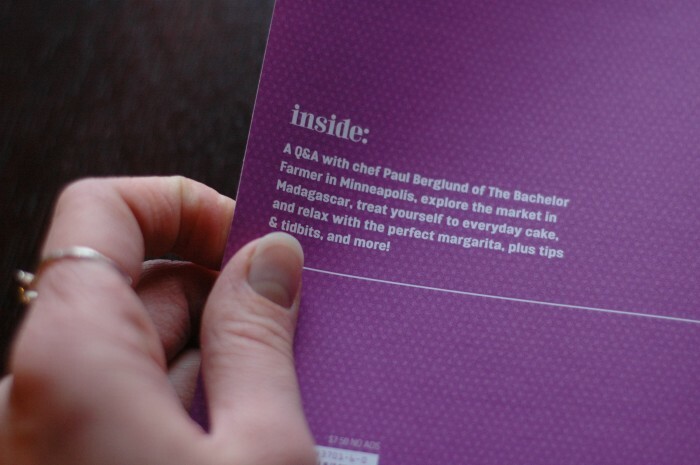 I have loved this magazine for awhile now, with the inspiration it has taken from old community cookbooks, the wonderful themes chosen for each issue, its charming two-color printing and, of course, the stories, recipes and interviews that fill it. However, I am particularly thrilled about this installment because it includes a story and recipe from me! 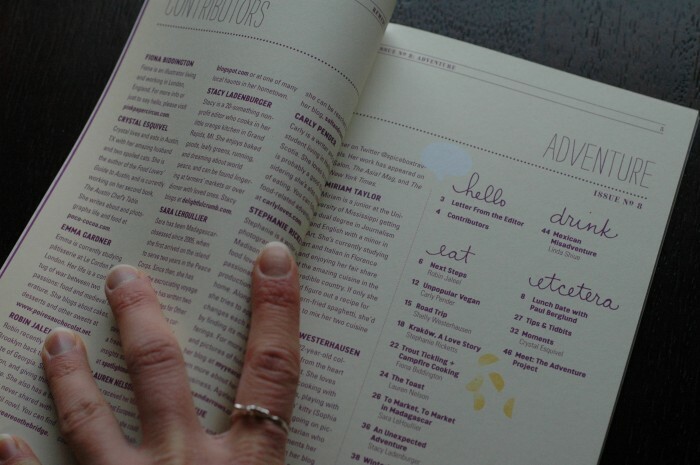 I encourage you to hop on over to Remedy Quarterly’s shop and pick up your very own copy of Issue 8: Adventure. 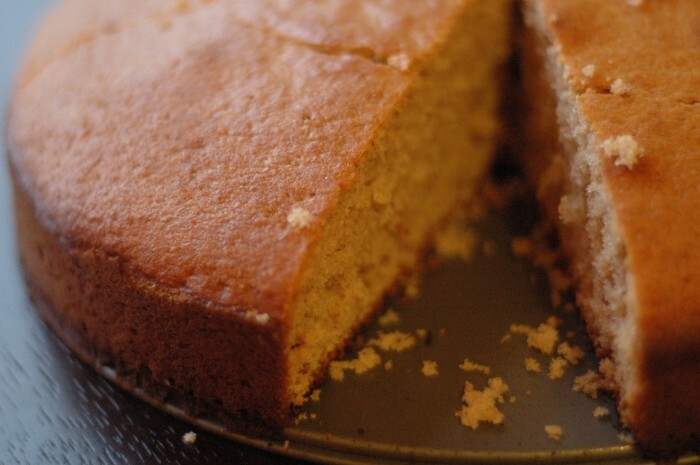 If I may tempt you further, I offer below a glimpse of the everyday cake you can whip up with the recipe that accompanies my story. And yes, it is one of those cakes, and I am not ashamed. Because it is delicious. Also, to anyone who has come this way via my piece in Remedy, welcome! I am so glad you are here. Please stay awhile! Lastly, a wee bit of housekeeping. I finally set up a subscription option for those interested in receiving email notifications regarding new posts from Delightful Crumb. Visit the subscription page to sign up, or to pick up my RSS feed. I will return shortly with a new recipe. Until then, may you have many adventures, whether big and exciting or small and seemingly mundane. And may you also have cake.